Cookies | Keto One Day At a Time. Keto One Day At a Time. Learning how to follow a low carb (Ketogenic) Way of Eating. Spread about 1 teaspoon peanut butter on 24 of the Ritz crackers. Spread 1 teaspoon Marshmallow Creme on remaining crackers. 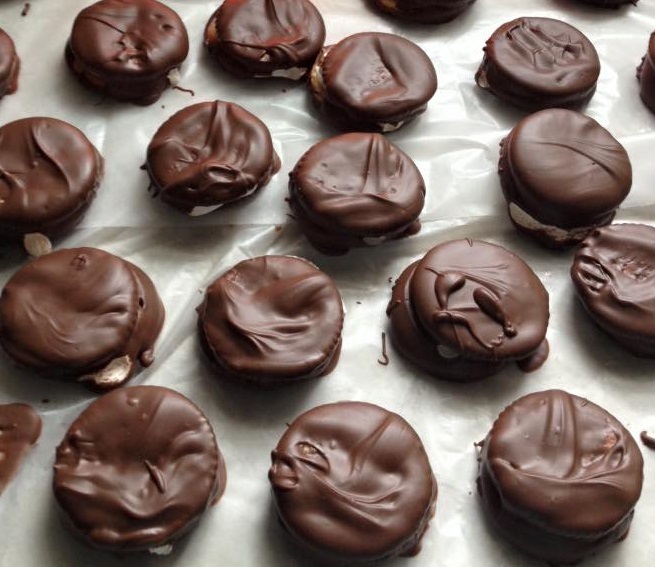 Set crackers on waxed paper and let stand until chocolate sets. Store in air-tight container for up to one week. I am sure these Ritz Peanut Butter and Marshmallow Cookies will be a BIG hit at your Christmas (or any other Holiday) party! 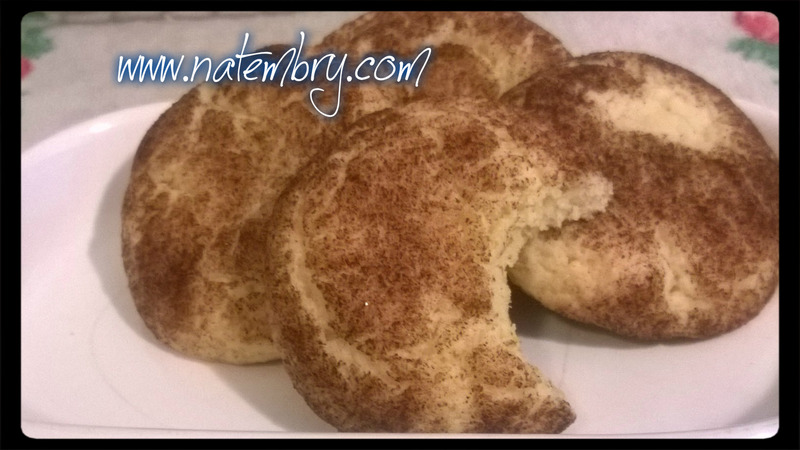 These Soft Snickerdoodle cookies are my husbands favorite cookies. Although the process seems a little daunting, you have to chill the dough, you HAVE to chill the cookie sheets also, BUT they are worth the effort. They come out soft and perfect every time! So sometimes it pays not to be a lazy cook, which honestly I am most of the time! ENJOY! Mix butter, 1 1/2 cups sugar and eggs thoroughly in a large bowl. Combine flour, cream of tartar, baking soda and salt in a separate bowl. Blend dry ingredients into butter mixture. Chill dough, and chill an ungreased cookie sheet for about 10-15 minutes in the fridge. Meanwhile, mix 3 tablespoons sugar, and 3 teaspoons cinnamon in a small bowl. Scoop 1 inch globs of dough into the sugar/ cinnamon mixture. Coat by gently rolling balls of dough in the sugar mixture. Place on chilled ungreased cookie sheet, and bake 10 minutes. You have to chill the cookie sheet before each batch you bake. Also keep your dough chilled in the fridge while waiting to make your next batch.